PRINT Brochure We create effective attention getting commercials that engage current customer and get new ones. We design our brochures and catalogs to be more than just handouts; they are sales tools created specifically to take your company to the next level. Whatever your company is looking for we can create with a little something extra! We create effective attention getting commercials that engage current customer and get new ones. 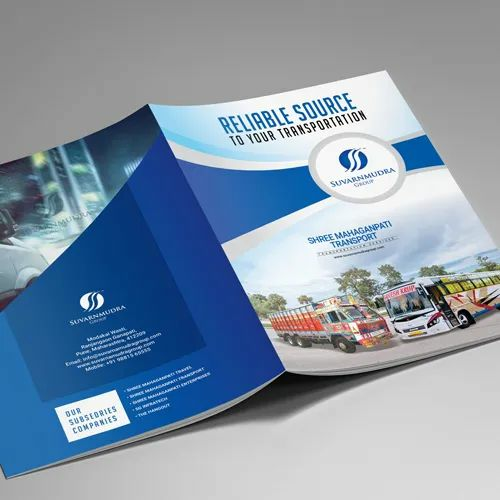 We design our brochures and catalogs to be more than just handouts; they are sales tools created specifically to take your company to the next level. Whatever your company is looking for we can create with a little something extra! CREATIVE & DESIGN SERVICES Established in the year 2016 at Pune, Maharashtra, We're an independent, creative imaging studio that looks beyond the confines of four walls and considers overall design. Applying many combined years of experience, our team patiently researches your need, deeply considers your situation, pursues a creative solution, and expertly makes it real.